We renovate our houses primarily to provide a facelift and customize the look and feel to suit our needs. In the process, we do not usually throw away all old items but reuse a few of them and further invest in buying new ones. This is, very well, true for Telco Networks that now needs a RENOVATION or an urgrade with virtualisation technologies such as: Software Defined Networks (SDN) and Network Function Virtualisation (NFV). 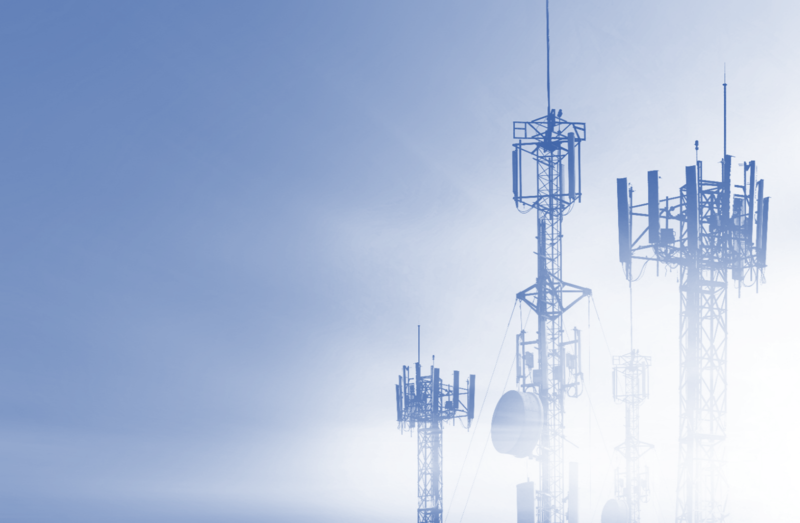 Let’s explore the Telco imperative to virtualise their networks. SDN Market is expected to reach USD 8 Billion by 2018 as predicted by IDC. Gartner, in its Hype curve has put SDN/NFV in the category "Trough of disillusionment" which is not disappointing and should be interpreted not in "Over Hyped" category but in actual "Reality mode" with realistic revenue predictions. It is important to understand that SDN and NFV are different terminologies and technologies and should not be confused or used alternatively. Separate standardization firms are working towards their evolution. Open Networking Foundation (ONF) is a leading standardization body for SDN and ETSI Industry Specification Group (ISG) for NFV. However many more standardization institutions/technology bodies, such as IETF, Openstack, Opensource, and ONAP, etc., also provide their viewpoints on SDN/NFV. 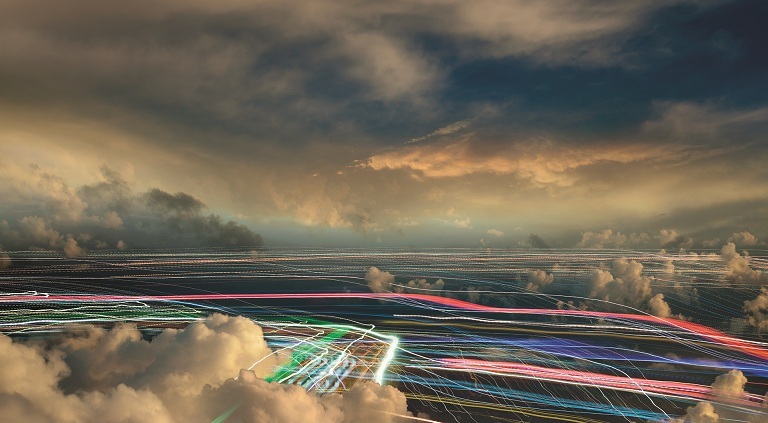 SDN/NFV can be implemented mutually exclusively but operators shall benefit most when they could combine the advantages of both the technologies and implement it together. Let us now bust some myths floating around SDN/NFV for Telcos. Reality: There shall be a phase existing where both legacy and new technologies co-exist and move to future. There will be an overlay concept where old legacy equipment can be latched onto new systems at the same time accommodating new SDN/NFV system. Reality: Whereever the computing power is more and physical speeds are less, it is optimal to virtualize applications in comparison to those which require high throughput. eg: OSS/BSS layers, Layer 4 to 7 applications are among the first to be virtualized and last is Packet Gateways with a lot of Physical throughput requirements. 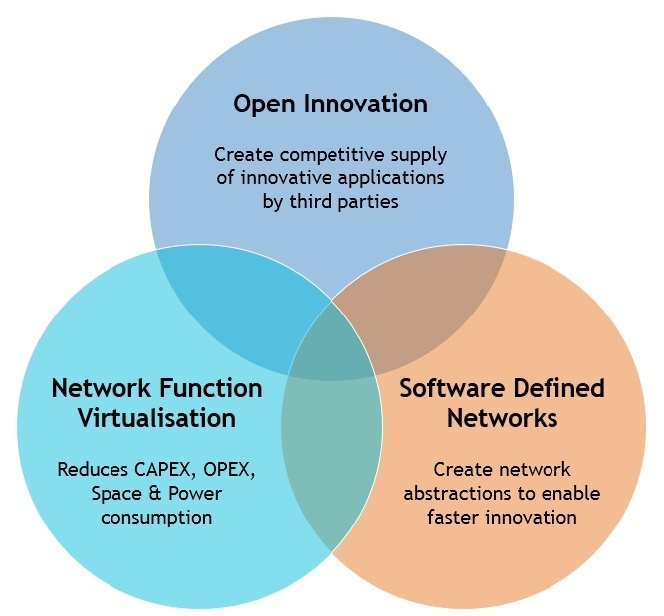 The glimpse of network with SDN and NFV co-existing is depicted in the below graphics. SDN talks about separating the control plane from the bearer(data) part while NFV is more about putting software functions of Virtual modules. Interestingly, Openflow - the popular protocol in SDN environment originated in the college campus area. 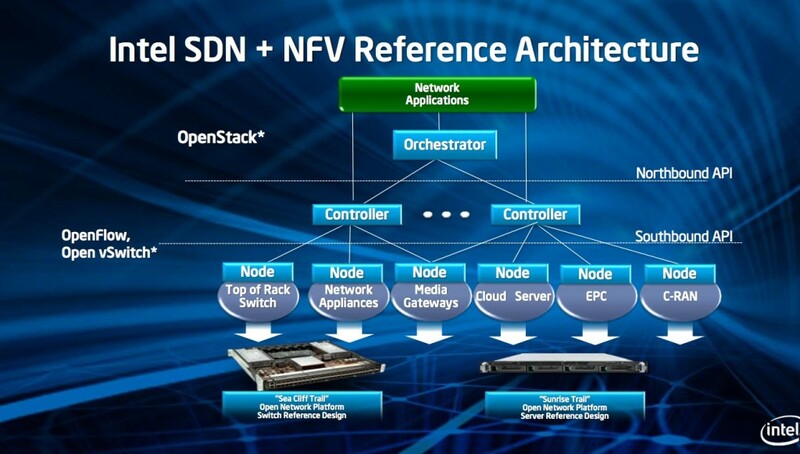 With the evolution of ICT technologies, the future SDN/NFV is all set to ROCK!